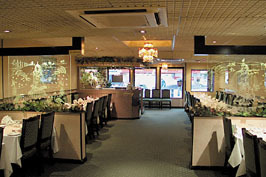 This comfortable and attractively designed restaurant provides a very welcoming and relaxing environment in which to enjoy some of the finest Indian cuisine to be found in the area. Experience the flavours and fragrances of a journey through India with the chef’s expertly and imaginatively created dishes encompassing many unique recipes as well as traditional favourites. Open every day for lunch and dinner. All major credit cards accepted. PIsvUA That's a mold-breaker. Great thiknnig!